Dubrovnik is called “The Pearl of the Adriatic” and is situated in the south end of Croatia on the Adriatic Sea. It is one of the most famous and well-known places for tourists to visit due to its historic Old Town. Dubrovnik Old City became part of the UNESCO World Heritage Sites in 1979. Dubrovnik has always been prominent in trade due to its location near the sea, which contributed to much of its wealth. During the Middle Ages, the city of Dubrovnik became a competitor and a rival to Venice. The city had many skilled laborers and money which helped contribute to its enormous growth during the 15th and the 16th centuries. The city was also a home for notable poets, painters, politicians, play writers and scholars. Croatia is very proud to have a city like Dubrovnik. 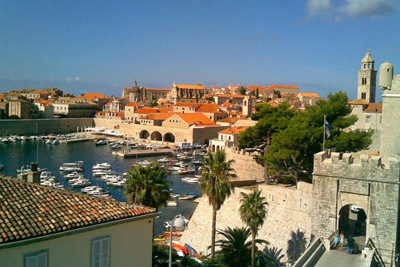 An interesting fact to know is that out of the best 15 luxurious hotels, 9 are located in Dubrovnik. Some prominent people call Dubrovnik their home, but it is also very attractive to tourists who visit this city from all around the world. One of the best ways to plan a holiday destination is to spend several days exploring the city and everything that it has to offer, including the Bell Tower, Roland’s Column, the Sponza Place, War Photo Limited, Pile Gate and several famous churches and museums. The airport is only 20 km away from the main part of the city, but it is also accessible by land and water.